Comment: Replacing posts and fence panels, including front gate. Comment: Looking for quotes to replace the back and front of our wood fence but not either side of the fence that is shared with neighbors. Via satellite, we measured the back fence to be 80 LF and the front to be 14 LF for a total of 96 LF (roughly). Comment: Need to replace fence on three sides of property. Comment: We need 4feet tall at our driveway, with a gate the other fence will be 7 feet by appx 170 feet long with a gate. And a gate on the west side of the driveway. Comment: The gate on my final fence is hard to close. I adjusted the hinges but the gate still needs to be forced into place. Kent Fence Contractors are rated 4.73 out of 5 based on 586 reviews of 47 pros. 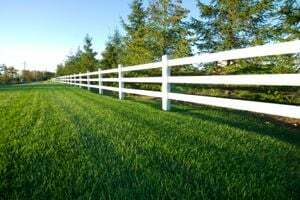 Not Looking for Fences Contractors in Kent, WA?